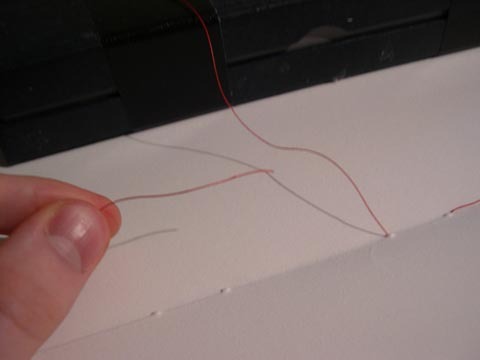 You will inevitably run out of thread and need to connect two seperate pieces of thread to one another. ALWAYS JOIN THREAD INSIDE A SECTION not the outside. 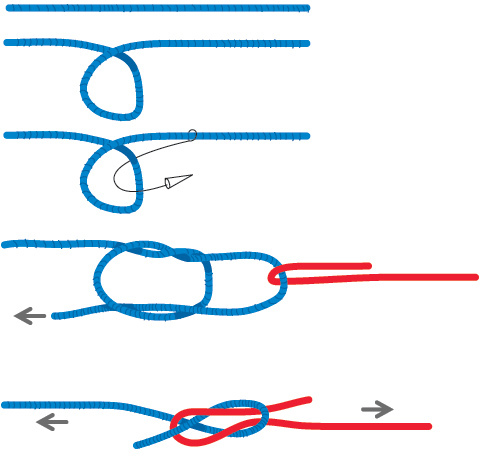 Sorry for the shodiness, rope diagrams are hard. 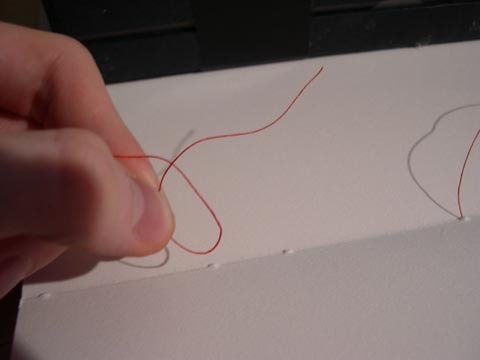 With your new piece of thread, curl it like this. Reach through the loops and grab the short end, bring it towards yourself. 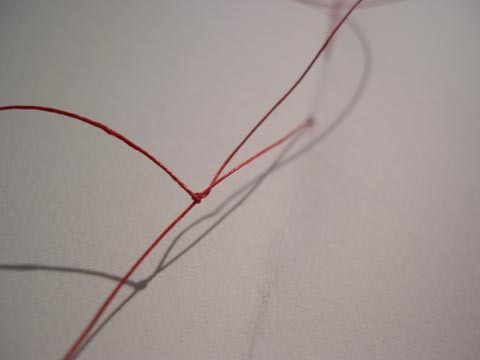 Pull it through and lay it down on the paper approximately where you want the join to be. 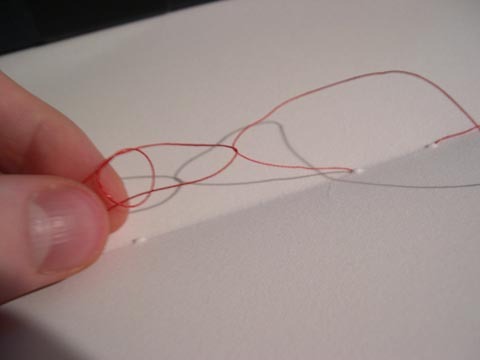 Try to make an acute point by folding the old thread to a point. 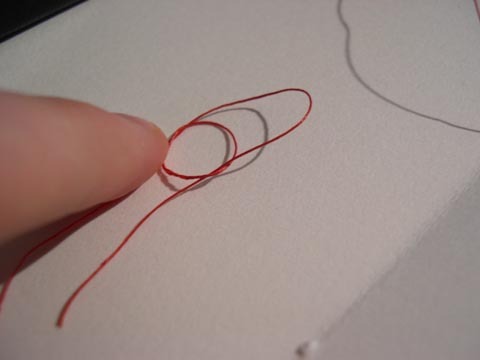 You want the circle to wrap around the old thread at the acute point. 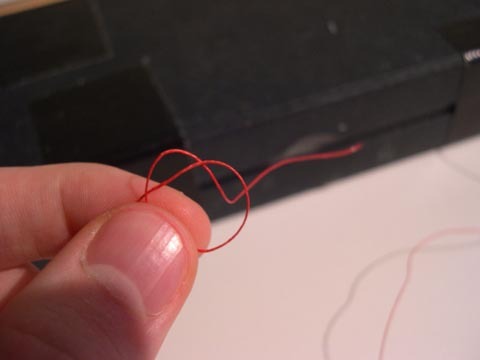 Pull the end of the new thread so the circle gets smaller and closer to the old thread and eventual wraps around it, then pull it tight.